Recently the AUPBA met with the Honourable Michael Daley (Minister for Police) and the Honourable Jodie McKay (Minister for the Hunter) at Parliament House in a bid to reduce the legal playing age to 12 years of age. The AUPBA’s efforts have taken another step forward, this time gaining national interest with an article in the Daily Telegraph. 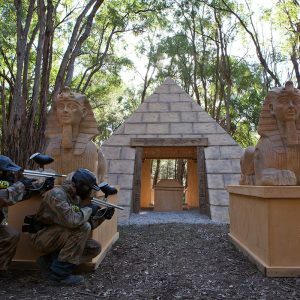 This reduction in age will enable more people in NSW to experience the thrill of paintball in safe and professional environments, such as the Delta Force centre in Appin. The AUPBA is constantly looking to improve paintballing standards throughout the country. All paintball centres listed on our website have passed various quality tests to ensure that they are professional, safe and fun. The highest accreditation a paintball centre can receive is a 5 star rating, which all Delta Force Paintball centres have received. Delta Force Paintball has improved paintballing standards throughout the country with impressive state-of-the-art equipment and world-class paintballing facilities. On arrival at Delta Force all players are issued with full-head protection goggles, a full-length body suit and a chest protector. These new initiatives improve the safety for all players and make for a more comfortable and enjoyable day. 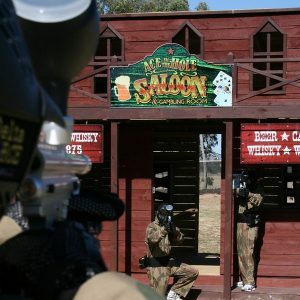 Paintball has come a long way over the last decade and game zones have improved from hiding behind wooden pallets to the movie-set game zones we now see at Delta Force Appin. 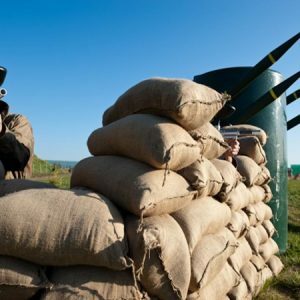 To book your next paintball adventure call our friendly booking office on 1300 850 744.